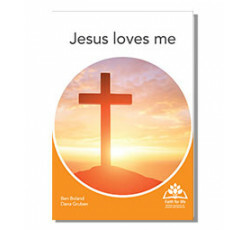 Jesus loves me is part of the Faith for life collection (Discovery series) and presents the love of Jesus simply and clearly for older people, especially those who find their memory is not as good as it once was. Engaging with the love of Jesus. Accepting the love of Jesus. The 24 full colour A5 pages of Jesus loves me are printed on high-tech polymer stock for extra endurance. 'This resource enables people with dementia and those offering support, to hold on to God even when the memory of God can seem elusive and difficult.' - Professor John Swinton, award winning author of Dementia: Living in the memories of God. Ben Boland is an aged care chaplain who passionately promotes and resources the gospel for older people. He regularly writes and speaks about aged care ministry, including contributing to aged care spirituality publications. He is currently writing an MA project at Moore College about developing a theology of older people with specific reference to sexuality. After earning undergraduate degrees in nursing and religion/ethics, Dana Gruben began her working life in neurosurgical nursing. Coming to Australia, she pursued further work and qualifications in neuro nursing, followed by additional studies in health administration, theology, ageing and pastoral care. Dana has worked in aged care chaplaincy, where she partnered with Ben Boland in developing a Christian Spiritual Reminiscence Program, and is currently involved in medical practice management.